Test your jewelry knowledge - A few trivia questions before you start to read. 1. Are all gemstones rocks and minerals? 2. What is the most valuable gemstone in the world? 3. What is the Mohs scale? 4. What are the 4 C's for rating diamonds? Answers at the bottom of the page...no peeking! A gemstone is a mineral or rock such as lapis lazuli or petrified material which, when shaped, cut or faceted becomes collectible or is made into jewellery. Other gemstones are actually organic material. Amber is just such an example of organic material - tree resin - which has fossilized. Jet is yet another example of organic material forming a gemstone. It is a form of coal, believe it or not! Gemstones to be used for jewelry must have the proper characteristics in order to be successful. Even though certain gemstones may be considered to be fabulous looking and would make a wonderful piece of jewelry, if they do not hold the appropriate characteristics of hardness and durability, they will never make successful jewellery. Instead, they may have to spend their lives in museums or in a collectors showcase. Agate - Agate is not a distinct mineral, but rather, an aggregate of various forms of silica. It is believed that the stone was first found near the river Achates, now the Drillo River in Sicily and was named as such. Alexandrite and other varieties of chrysoberyl - The mineral/gemstone chrysoberyl should not be confused with beryl. Chrysoberyl is transparent to translucent and sometimes chatoyant. An interesting feature of uncut crystals of chyrsoberyl are the trillings. These twinned crystals have a hexagonal appearance, but are the result of a triplet of twins with each "twin" taking up 120 degrees of the cyclic trilling. Amethyst (originally a "cardinal gem", but now no longer so, since huge quantities were discovered in Brazil and the price plummeted) - Amethyst is a violet or purple variety of quartz often used as an ornament. The name comes from the Greek a (not) and methuskein ("to intoxicate"), a reference to the belief that the stone protected its owner from drunkenness; the ancient Greeks and Romans wore amethyst and made drinking vessels of it in the belief that it would prevent intoxication. It has been shown that this structure may be due to mechanical stresses. As a consequence of this composite formation, amethyst is apt to break with a rippled fracture, or to show "thumb markings", and the intersection of two sets of curved ripples may produce on the fractured surface a pattern something like that of "engine turning". Some mineralogists, following Sir David Brewster, apply the name of amethyst to all quartz which exhibits this structure, regardless of color. Aquamarine (Lat. aqua marina, "water of the sea") is a gemstone-quality transparent variety of beryl, having a delicate blue or blue-green color, suggestive of the tint of seawater. It's closely related to the gem emerald. Colors vary and yellow beryl, called heliodor; rose pink beryl, morganite; and white beryl, goshenite are known. Chrysocolla - Chrysocolla is a mineral of of secondary origin and forms in the oxidation zones of copper ore bodies. Associated minerals are quartz, limonite, azurite, malachite, cuprite and other secondary copper minerals. Chrysocolla is an attractive blue-green colour and is minor ore of copper, having a hardness of 2.5 to 3.5. It is also used as an ornamental stone. Chrysoprase (also chrysophrase) is a gemstone variety of chalcedony (fibrous form of quartz) that contains small quantities of nickel. Its color is normally apple-green, but varies to deep green. It is cryptocrystalline, which means that it is composed of crystals so fine that they cannot be seen as distinct particles under normal magnification. This sets it apart from rock crystal, amethyst, citrine, and the other varieties of crystalline quartz which are basically transparent and formed from easily recognized six-sided crystals. Other members of the cryptocrystalline quartz family include agate, carnelian and onyx. Diamond - Diamond is one of the two best known forms of carbon, whose hardness and high dispersion of light make it useful for industrial applications and fabulous jewelry. Diamonds are specifically renowned as a mineral with superlative physical qualities â€” they make excellent abrasives because they can be scratched only by other diamonds and some other extremely hard items. As a result of this hardness and durability, they polish very well and can retain their luster extremely well...making them a prized gemstone and one of the most popular for jewelry. It is estimated that there are 130 million diamond carats (26,000 kg) mined annually. As for the fake or synthesized carats, that amount almost quadruples to approximately 100,000 kg per year. Diamonds are rated based on clarity, colour, cut and carat size. Read more about the 4 C's of diamond rating. Emerald - Emerald is a variety of the mineral beryl, colored green by trace amounts of chromium and sometimes iron. Emerald, being a gemstone high in demand, based on its weight, is the most valuable gemstone in the world. However, emeralds are not all created equal. They all contain inclusions or fillers which, depending on the amount of filler, decrease the value of the emerald itself. The base component, beryl has a hardness of 7.5 on the 10 point Mohs scale of hardness. This degree of hardness can be greatly affected by the amounts and quality of the fillers - decreasing the hardness rating. The colours of the gemstone emerald are probably the reason for its tremendous popularity. Emeralds come in many shades of a deep, intense, yet bright green and bluish green. Feldspar is an important group of rock-forming minerals which make up as much as 60% of the Earth's crust. Feldspars crystallize from magma in both intrusive and extrusive rocks; they occur as compact minerals, as veins, and are also present in many types of metamorphic rock. Garnet - Garnets are most commonly red in color but can be found in a variety of colors, including purple, red, orange, yellow, green, brown, black and even colourless. It seems that the only color missing on that list was blue. After the discovery in the 1990s of color-change blue to red/pink material in Bekily, Madagascar, blue garnet became available. However, color-change garnet gemstones are extremely rare and maybe the rarest with the exception of uvarovite, which cannot even be cut. Hematite - Hematite is a very common mineral, coloured black to steel or silver-gray, brown to reddish brown, or red. It is mined as the main ore of iron. Varieties include Bloodstone, Iron Rose, Kidney Ore, Martite, Paint Ore, Specularite (Specular Hematite), Rainbow Hematite and Titano-hematite. While the forms of hematite vary, they all have a rust-red streak. Hematite is harder than pure iron, but much more brittle. Often referred to as Black Diamonds. Jade - also known as jadeite or nephrite - The gemstone jade is an exceptionally durable material. Because of this, it was originally used for survival purposes, to make necessary items such as knives, axe heads and certain weapons. When other metals and stones became more useful for weapons, jade became loved for its wonderful, bright colour and beauty and was made into jewelry. Jade has a Mohs hardness of between 6.5 and 7.0. And in case you didn't know, Jade is the official gemstone of British Columbia, Canada, where it is found in large deposits in the Lillioet and Cassiar regions. Jasper - Jasper is yet another form of quartz. It is an impure variety found in various opaque colours such as red, yellow or brown. Jasper is very smooth, can be highly polished, and has been used to make decorations, vases, and as a gemstone on its own. Kunzite - Kunzite is a hard pink gemstone, a variety of spodumene with the colour coming from manganese. It was named after George Frederick Kunz, who discovered it in Connecticut, USA in 1902. Kunzite can be found mined in the following countries currently: Sweden, Mexico, Canada, USA and Brazil. Lapis lazuli - Lapis lazuli, also known as just lapis, is a gemstone with one of the longest and most profound histories of all gemstones, dating back to 5000 BC. It has been strongly associated with Egypt, having had high praise from pharoahs. The proof is in the tombs - Lapis lazuli has been found in many of Egypt's pharaonic tombs, standing out from most other gemstones used. Naturally beautiful, lapis lazuli is still a very popular gemstone today. Malachite - Except for the vibrant green colour, the properties of malachite are very similar to those of azurite and aggregates of the two minerals together are frequently found, although malachite is more common than azurite. Obsidian - Obsidian is a type of naturally occurring glass, produced by volcanoes when a specific type of lava cools rapidly and freezes without sufficient time for crystal growth. It is commonly found within the margins of felsic lava flows, where cooling is more rapid. Olivine or Peridot - Olivine is usually colored olive-green (hence the name), though it may alter to a reddish color from the oxidation of iron. It has a conchoidal fracture and is rather brittle. Opal (Girasol) - Opal ranges from colorless through white, milky blue, gray, red, yellow, green, brown and black. Common opal is truly amorphous, but precious opal does have a structural element. Pyrite - It has a slightly uneven and conchoidal fracture, a hardness of 6â€“6.5 (compare that to diamonds at hardness of 10). It is brittle, meaning it breaks or powders easily. Its metallic luster and pale-to-normal brass-yellow hue have earned it the nickname fool's gold, but ironically, small quantities of actual gold are sometimes found in pyrite. Quartz and its varieties, such as tiger's-eye, citrine, agate, and amethyst is one of the world's most common crustal minerals and goes by a bewildering array of different names. The most important distinction between types of quartz is that of macrocrystalline (individual crystals visible to the unaided eye) and the microcrystalline or cryptocrystalline varieties (aggregates of crystals visible only under high magnification). Ruby - Ruby is a red gemstone, a variety of the mineral corundum or aluminum oxide in which the color is caused mainly by chromium. Its name originates from ruber or rubrum, Latin for red. Natural rubies are exceptionally rare, though artificial ones (sometimes called created ruby) can be manufactured by the Verneuil process relatively inexpensively. Other varieties of gem-quality corundum are called sapphires. .
Sapphire - Sapphire is the single-crystal form of aluminum oxide, a mineral known as corundum. It can be found naturally as gemstones or manufactured in large crystal boules for a variety of applications. Spinel - It may be colorless, but is usually various shades of red, blue, green, yellow, brown or black. There is a unique natural white spinel, now lost, that surfaced briefly in what is now Sri Lanka. Another famous spinel is the Black Prince's Ruby in the British Crown Jewels. Sugilite - Sugilite (also known as luvulite) is a relatively rare pink to purple cyclosilicate mineral. Tanzanite and other varieties of zoisite - It is a popular and valuable gemstone when cut, although its durability is somewhat lacking; its tendency to break precludes appropriate use as a ring stone. Tanzanite is noted for its remarkably strong trichroism, appearing alternately sapphire blue, violet, and sage-green depending on crystal orientation. However, most tanzanite is subjected to artificial heat treatment to improve its colour: this significantly subdues its trichroism. Topaz - Topaz is relatively hard with a hardness measure of 8. Pure topaz is transparent but is usually tinted by impurities; typical topaz is wine or straw-yellow. They may also be white, gray, green, blue, pink or reddish-yellow and transparent or translucent. When heated, yellow topaz often becomes reddish-pink. It can also be irradiated, turning the stone a light and distinctive shade of blue. A recent trend in jewelry is the manufacture of topaz specimens that display iridescent colors, by applying a thin layer of titanium oxide via physical vapor deposition. Turquoise - It is rare and valuable in finer grades and has been enjoyed as a gemstone for thousands of years owing to its unique hue. In recent times turquoiseâ€”like most other opaque gemsâ€”has had its popularity undermined by the introduction of treatments, imitations, and synthetics onto the market, some difficult to detect even by experts. Tourmaline - Tourmaline has a wide variety of colours. Usually, iron-rich tourmalines are black to bluish-black to deep brown, while magnesium-rich varieties are brown to yellow, and lithium-rich tourmalines are practically any color: blue, green, red, yellow, pink etc. Rarely, it is colourless. Bi-colored and multi-coloured crystals are relatively common, reflecting variations of fluid chemistry during crystalisation. Crystals may be green at one end and pink at the other, or green on the outside and pink inside: this type is called watermelon tourmaline. Some forms of tourmaline are dichroic, in that they appear to change color when viewed from different directions. Zircon - The natural color of zircon varies between colorless, yellow-golden, red, brown or green. Colorless specimens that show gem quality are a popular substitute for diamond; these specimens are also known as "Matura diamond" (but note that cubic zirconia is a completely different synthetic mineral with a different chemical composition). High-lead glass - Glass is a uniform material, usually produced when the viscous molten material cools very rapidly to below its glass transition temperature, without sufficient time for a regular crystal lattice to form. Synthetic cubic zirconia - Cubic zirconia (or CZ) is zirconium oxide, an extremely rare mineral in nature but is widely synthesized for use as a diamond simulant. The synthesized material is hard, optically flawless and usually colorless, but may be made in a variety of different colors. It should not be confused with zircon. Because of its low cost, durability, and close visual likeness to diamond, synthetic cubic zirconia has remained the most gemologically and economically important diamond simulant since 1976. Its main competition as a synthetic gemstone is the more recently cultivated material moissanite. Synthetic corundum - Corundum is the crystalline form of aluminum oxide and one of the rock-forming minerals. Corundum is naturally clear, but can have different colors when impurities are present. Transparent specimens are used as gems, called ruby if red, while all other colors are called sapphire.. Synthetic Spinel - True spinel has long been found in the gemstone-bearing gravel of Sri Lanka and in limestones of Myanmar and Thailand. Its hardness is 8. It is transparent to opaque with a vitreous to dull lustre. It may be colorless, but is usually various shades of red, blue, green, yellow, brown or black. There is a unique natural white spinel, now lost, that surfaced briefly in what is now Sri Lanka. Another famous spinel is the Black Prince's Ruby in the British Crown Jewels. 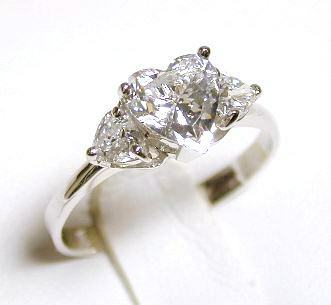 Synthetic Moissanite - The word moissanite is a trade name given to silicon carbide for use in the gemstone business. Naturally occurring moissanite is extremely rare, as it is not formed naturally in any quantity within the Earth, and thus is found only in tiny quantities in certain types of meteorite and as microscopic traces in corundum deposits and kimberlite. Virtually all of the silicon carbide sold in the world, including moissanite gemstones, is synthetic. Synthetic moissonite is almost as hard as diamond, with a slightly higher index of refraction and greater dispersion; these qualities make SiC a decent and durable diamond simulant. Moissanite's greater dispersion and index of refraction gives it more fire and brilliance than diamond. Amber - Amber is a fossil resin much used for the manufacture of ornamental objects. Although not mineralized it is sometimes considered and used as a gemstone. Most of the world's amber is in the range of 30â€“90 million years old. Semi-fossilized resin or sub-fossil amber is called copal. Bone - speaks for itself. Coral - Corals, which include sea anemones, typically form colonies of many individuals. Reddish coral is sometimes used as a gemstone especially in Tibet. Pure red coral is known as 'fire coral' and it is very rare because of the demand for perfect fire coral for jewellery-making purposes. Ivory - Ivory is a hard, white, opaque substance that is the bulk of the teeth and tusks of animals such as the elephant, hippopotamus, walrus, mammoth, narwhal and more. Prior to the introduction of some very hard plastics, it was mostly used for billiard balls, piano keys, buttons and and ornamental items. Jet (lignite) - Jet is a geological material that is not considered a mineral in the true sense of the word, but rather, a mineraloid derived from decaying wood under extreme pressure, thus organic in origin. The name "jet" is the English word derived from the French â€œjaietâ€�. Jet is black or dark brown but may contain pyrite inclusions, which have a brassy color and metallic lustre. Jet is found in one of two forms, hard and soft. "Hard" jet is the result of the carbon compression and salt water; "soft" jet is the result of the carbon compression and fresh water. Jet is easily polished. The adjective jet-black is perhaps more well-known than is this mineral from which it is derived. Mother of pearl - Nacre, also known as mother of pearl, is a naturally-occurring organic-inorganic composite. Nacre is secreted by the epithelial cells of the mantle tissue of certain species of mollusk. In these mollusks, nacre is continually deposited onto the inner surface of the animal's shell (the iridescent nacreous layer, commonly known as mother of pearl), both as a means to smooth the shell itself and as a defense against parasitic organisms and damaging detritus. Chief sources are the pearl oyster, found in warm and tropical seas, primarily in Asia; freshwater pearl mussels, which live in many rivers of the United States, Europe, and Asia; and the abalone of California, Japan, and other Pacific regions. Ammolite - from fossils formed from the shells of extinct ammonites. Ammolite is a rare and valuable opal-like organic gemstone found primarily along the eastern slopes of the Rocky Mountains of the United States and Canada. It is made of the fossilized shells of ammonites, which in turn are composed primarily of aragonite, the same mineral that makes up nacreous pearls. It is one of the three biogenic gemstones, the other two being amber and pearl. Pearls are usually white, sometimes with a creamy or pinkish tinge, but may be tinted with yellow, green, blue, brown, purple, or black. 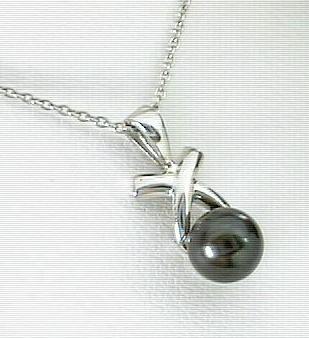 Black pearls, frequently referred to as Black Tahitian Pearls are highly valued because of their rarity; the culturing process for them dictates a smaller volume output and can never be mass produced. Some definitions courtesy of: Wikipedia.org. Thanks for this great information! NO. Although many gemstones are rocks or minerals, there are some which are organic material such as amber, which is fossilized tree resin. Contrary to popular belief, diamonds are NOT the most valuable gemstone in the world. Based on price/weight, EMERALDS actually top the list as the worlds most valuable gemstone. The Mohs scale is a way to measure the hardness of any mineral substance. Frederich Mohs, a German mineralogist, defined this measurement system in 1812. Here are some examples using the Mohs scale. The 4 C's for diamond rating are: Clarity, Color, Cut, and Carat Weight.